The last survivor of the month that I had the pleasure of photographing this year was Suzanne Lowe. 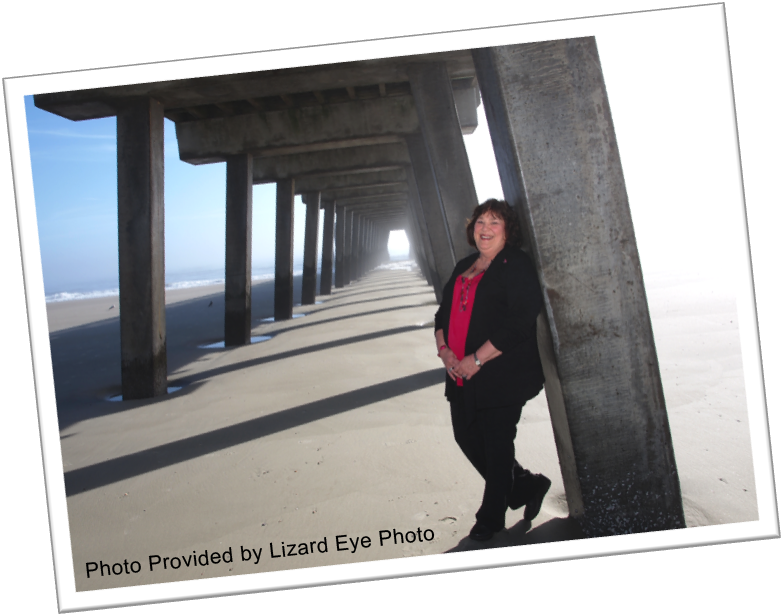 Our January Survivor decided she would like to be photographed on the beach! I was very excited about this since she was the first to want to go out there. She said for part of her treatment, when she was taking Tamoxifen, she was not allowed to go in the sun, so the beach was somewhere that she missed. However, the day that we picked to meet it was very foggy – sunny, but foggy. The photos that resulted were very cool, I thought, with the thick fog. Almost an 8 year survivor, Suzanne was diagnosed in 2004 with stage 1, ductile carcinoma insitu. “I thought I had been given a death sentence, however, being diagnosed early saved my life. Breast cancer takes a toll on you both physically and mentally. I am so thankful I had a huge support system made up of family members, friends and co-workers, ” she says of her diagnosis. “We think breast cancer happens to other people and that it will never happen to me, well, it did. I am the one in eight women who have been or will be diagnosed, ” she also says about how breast cancer can happen to anyone. For her, stressing that early detection and early treatment makes the treatment less extreme, in some cases and increases survival rates. She says she is doing great today and can’t stress the importance of getting mammograms every year and doing self-exams. Early detection can save your life. She likes to imagine a world without breast cancer. Suzanne is going to continue educating women and making them more aware so that more people can survive this disease. Maybe you’ll see her at an outreach table at the next Susan G. Komen event in town!